Taking a drag from a cigarette on his living room couch, Dugar-Syuryun Oorzhak looks like an ordinary Tuvan man. But when he slips into his piebald leather coat, puts on his feathered headdress, and takes down the skin drum hanging on the wall, he is transformed into a shaman and a healer. In Tuva, a remote ethnic republic in southern Siberia, Oorzhak is the real deal. Descended from a shamanic family, he helps his fellow Tuvans resolve problems ranging from interpersonal conflict to illness. And he can be partially credited with reviving the practice of Shamanism, long suppressed by the Soviets. In 1993, Oorzhak filed the official paperwork to found Dungur (“Drum”), the first post-Soviet Shamanist association in Russia. The organization opened at the right time. As the Soviet collapse gave way to national cultural revival, Tuva witnessed a renewed interest in Shamanism and the region’s other traditional faith, Buddhism. Today, however, Oorzhak has grown dissatisfied. Shamanism “has become a business,” he says. Russians come from Moscow for a few meetings with a shaman, and then head home to open their own shamanic clinics. Locals declare themselves shamans with the sole aim of making money. Siberia is commonly regarded as the heartland of Shamanism. Indigenous communities have practiced shamanic rituals here for thousands of years, though the tradition hasn’t always gone unhindered. In the 16th and 17th centuries, as the Russian Empire expanded eastward, Orthodox Christianity came into aggressive conflict with indigenous traditions. And after the founding of the Soviet Union, a dogmatic approach to Marxist-Leninist ideology put the regime in direct conflict with spiritual, “unscientific” practices. Until the Gorbachev era, indigenous spirituality was a risky venture. The standard narrative of Shamanism under the Soviets includes stories of mass executions of shamans. Some reports even describe shamans being thrown to their deaths from helicopters. But Valentina Kharitonova, an anthropologist and expert on Shamanism, says that studying Soviet arrest records reveals a more complicated story. At the time of the Soviet anti-religious campaign, Shamanism was not even viewed as a religion. Shamans were indeed repressed, but often because they were wealthy, not for their spiritual practices. Shamanism was also connected with animal sacrifice, and slaughtering livestock intended for collectivization violated Soviet law. In fact, in the early communist period, many shamanic healers simply gave up the practice. But Shamanism never fully died out in places like Tuva. Accessible only by a five-hour car ride through the Sayan Mountains, Tuva remains one of Siberia’s most remote areas and among the least “Russian” regions in Russia. In the 1970s and 1980s, researchers even discovered elderly shamans still plying their trade in the isolated regions of the republic. Unsurprisingly, the post-Soviet revival of the practice was particularly swift in Tuva. Oorzhak’s life story directly reflects Shamanism’s turbulent 20th century history. Born in 1948 in the Tuvan village of Kydyy-Shurabulak, Oorzhak says he was especially close to his grandfather, Oorzhak Dongak Shokar, who was considered a “master shaman.” Shokar was imprisoned for over 8 years — Oorzhak says for simply being a shaman. As a result, the young Oorzhak was never allowed to join the Pioneer scouting organization, the Communist Youth League, or the Communist Party — important channels of status and opportunity in the Soviet system. Instead, he became an artist and helped design the Tuvan capital of Kyzyl’s picturesque National Theater. But Shamanism was in Oorzhak’s blood and, as he describes it, he “gradually and intuitively” became a shaman — almost without noticing how it happened. 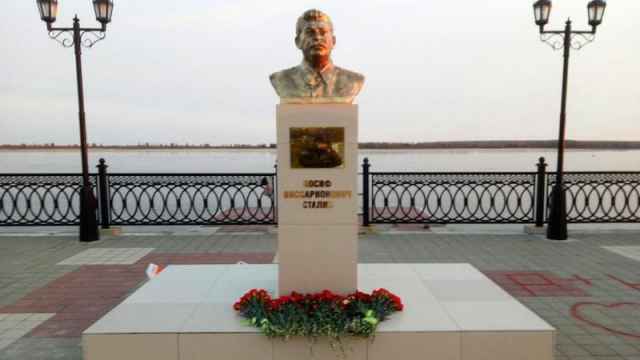 Throughout the Soviet period, he healed people in private, helping to “remove bad energy, jealousy, envy, and bad thoughts” that cause illness at a time when the government regarded such ideas as backwards relics of the past. With the Soviet collapse, Oorzhak gained prominence for his rituals and his success in registering the Dungur organization. 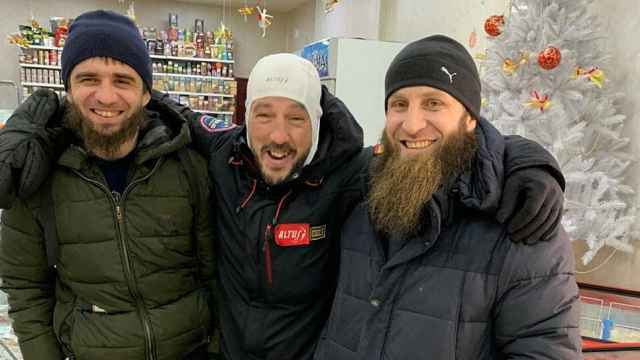 Soon, he was being contacted by people from the Khakasia and the Altai republics, who asked for his help in starting organizations there. 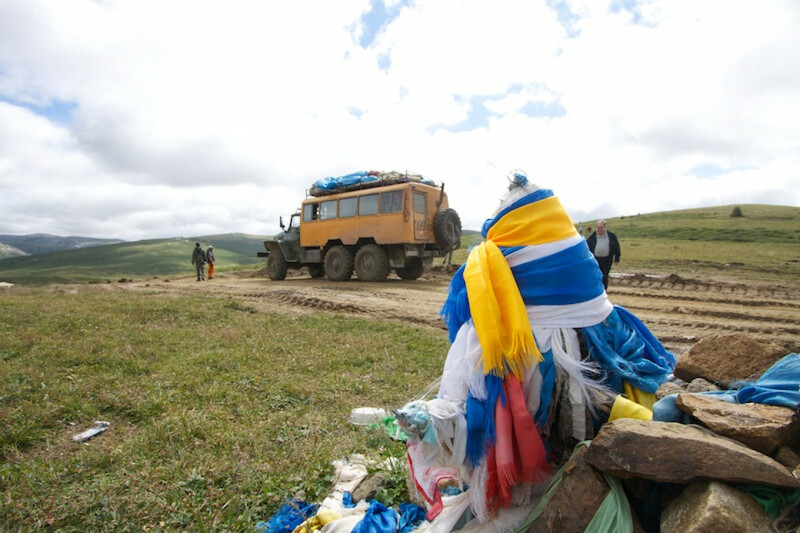 Since the 1990s, Oorzhak says, enthusiasm for Shamanism has declined “slightly.” At the same time, Tuvan regional authorities and the local population support Shamanism. It has also become an important, if routine, part of the region’s culture. And interest outside Siberia has grown significantly. Now, visitors come from elsewhere in Russia, Europe, and North America to learn about Tuva’s spiritual practices. Oorzhak welcomes these visitors and takes them on tours of sacred spots where shamanic rituals are carried out. Dr. Michael Harner, an American anthropologist who left academia to promote a modern form of Shamanism, suggests that this interest is a symptom of modernity. The “age of science” has superseded religious faith and left many people dissatisfied with established religions. Despite his work with tourists, Oorzhak is determined not to allow commercialism to erode Tuva’s local spiritual traditions. The house where he lives on the banks of the Yenisei river is clean, but dilapidated. Clients still show up unannounced at his door bearing small offerings of food in return for a consultation. He admits finances are a problem, but says he’s determined to keep things simple. In this regard, Oorzhak is a holdout. Anthropologist Kharitonova sees nothing surprising in the monetization of Shamanism. Even in the days of yore, she says, shamans had to support themselves and their families through their rituals. With the collapse of the Soviet safety net, this has become more urgent. And even Oorzhak is not immune to the wiles of “commercial” Shamanism. Because of international interest in Siberian spirituality, he has become one of the most popular Tuvan shamans in the West. He frequently receives invitations to conferences and seminars abroad, which have allowed him to meet shamans from around the world. He travels abroad about five or six times a year, funded by the inviting organizations. He recounts with pride the places he has visited: the U.S., Mexico, Peru, Brazil, Japan, and Europe. 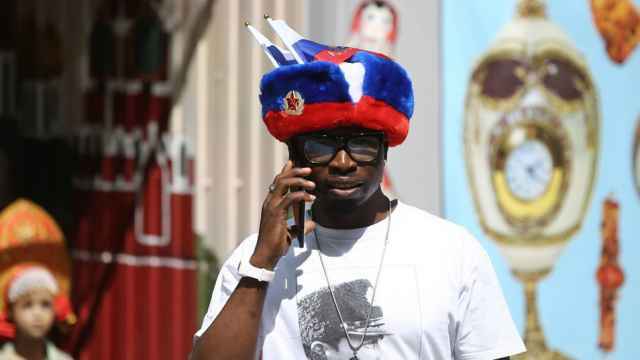 The man is reportedly stranded in Siberia with no tickets back to Moscow until January. The State Department reclassified Russia as a Level 2 “increased caution” country, together with states including Italy, Spain and France. 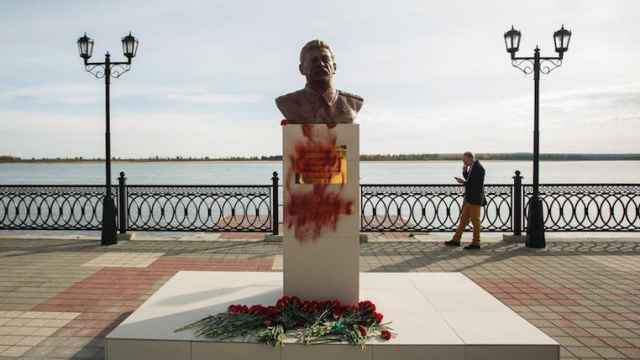 A monument to the Soviet dictator Josef Stalin recently erected in the Siberian town of Surgut has been vandalized the day after it was unveiled.